The Alabama Conference of Theatre has held the Walter Trumbauer Festival annually since 1940. The conference provides quality training and opens up performance opportunities to secondary-level theatre students across the United States. The festival consists of 30 individual events, a one-act and studio theatre play festival. 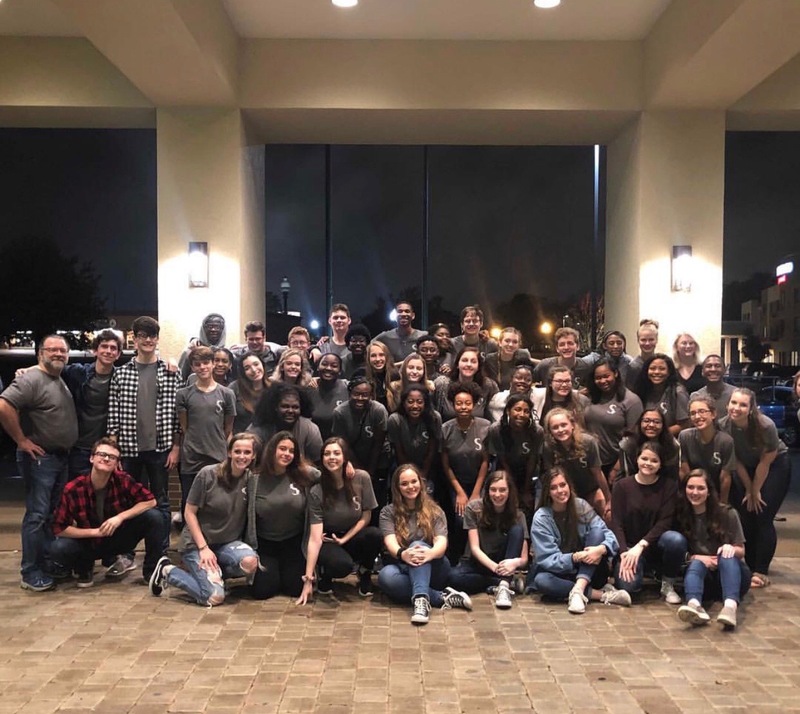 This year, students who are taking Theatre III and IV were given the chance to compete at this highly-competitive festival at Troy University this past weekend. However, the festival took intense preparation including hours of practicing at and after school, running numbers until they are perfect and competing at district earlier in the year. The journey to state starts with an audition to get into the class. The auditions begin in the spring and then the work starts immediately to start preparing for their plays and for district Trumbauer. All students are required to enter and compete in district, and from there, they move onto state if they earn a superior rating. Most students earned a superior rating at district, allowing them to compete at the state level where they would have access to commentary from qualified teachers, professionals and theatre practitioners. Opportunities for scholarships up to $1000 are also on the table at this level. Tremendous pressure mounted onto the students as they traveled on Wednesday evening. Once they arrived, the competition started with a multitude of different acts that ranged from solos to groups to one-act plays. Tons of students competed and once awards were given out on Friday and Saturday night, the theatre program walked away with a plethora of awards and eight state winners. At the beginning of Trumbauer, Harbison had promised that if they won all of his students could push him in the pool. Since they won, Harbison splashed in the pool and all of the students had a fun time doing what they love. The winning was just a bonus on an already great trip, and the students are already looking forward to next year.